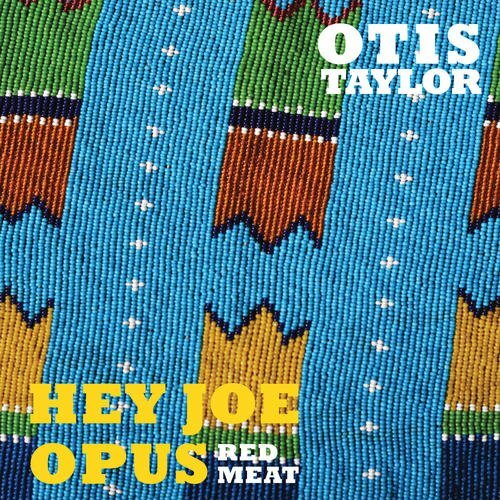 Taylor’s Hey Joe Opus/Red Meat is the follow-up to 2013’s acclaimed My World Is Gone, a conceptual song cycle recorded in collaboration with Native American guitarist Mato Nanji of Indigenous. 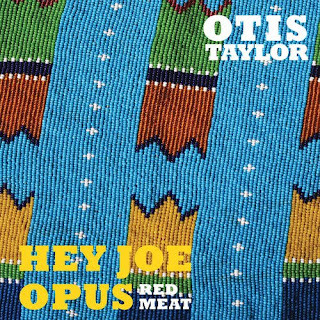 Hey Joe Opus/Red Meat takes the old-school concept album a step further, offering songs that “explore the decisions that we make and how they effect us” [sic], tying together the vocal tracks with mesmerizing instrumentals. Breathing new life into the ancient garage-rock tune like nobody since Jimi Hendrix, Taylor imbues “Hey Joe” with an uneasy malevolence, his anguished vocals punctuated by guest Warren Haynes’ shimmering fretwork and Anne Harris’s eerie, howling violin. Taylor uses “Hey Joe” as an artistic foundation for the album, returning to the song later, but first segueing into the exhilarating instrumental “Sunday Morning” (reprised twice later). With Taylor, Haynes, and Taylor Scott swapping guitar lines, the rest of the band fills in the corners with a breathtaking display of musicianship. The transgender tale “Peggy Lee” tackles the uncertainty of gender issues with intelligence and a gentle Piedmont blues vibe that features David Moore’s nimble banjo and Bill Nershi’s gorgeous acoustic guitar, while a seven-minute reprise of “Hey Joe” features Langhorne Slim on vocals for an entirely different take. The urgent “Cold at Midnight” benefits from Ron Miles’ haunting cornet, the strident final reprise of “Sunday Morning” sounding judgmental by contrast.